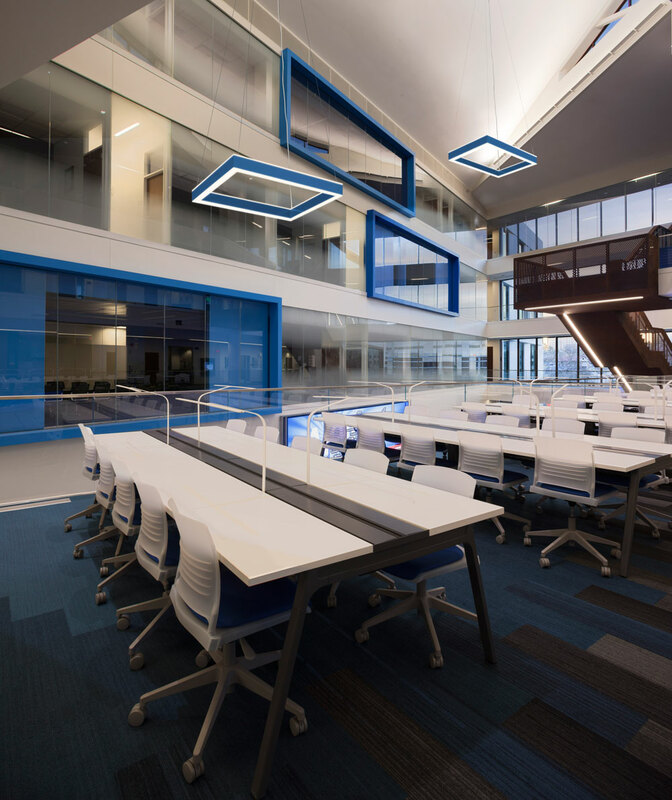 Microquad Series LED | Pal Lighting, Inc.
Goal: To offer a compact, imaginative option for indoor spaces requiring either suspended or recessed lighting. 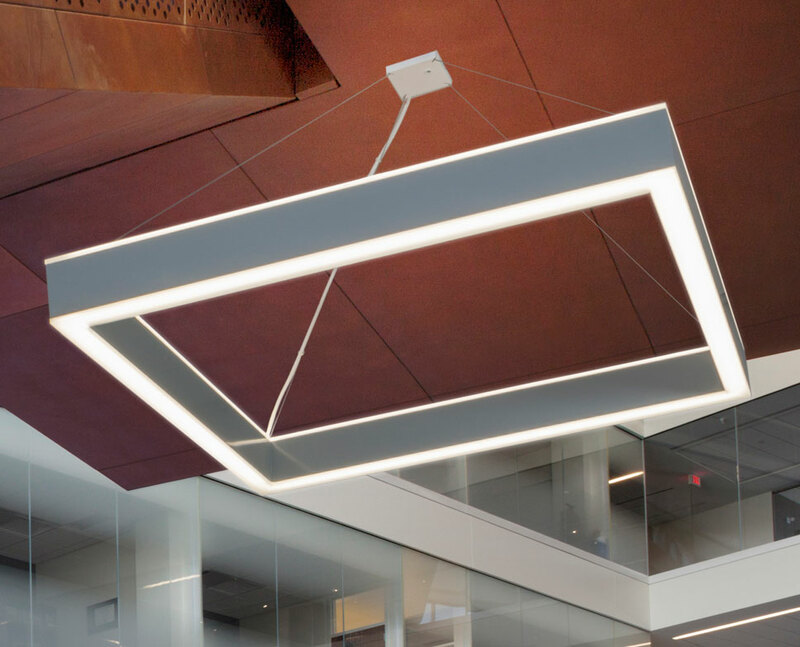 Innovative and bold, the streamlined Microquad LED solves the problem of illuminating interiors that combine open spaces and intimate settings. The flexible Microquad LED series includes variable output settings, multiple dimming options and options that include our new light-extending Accent lens. 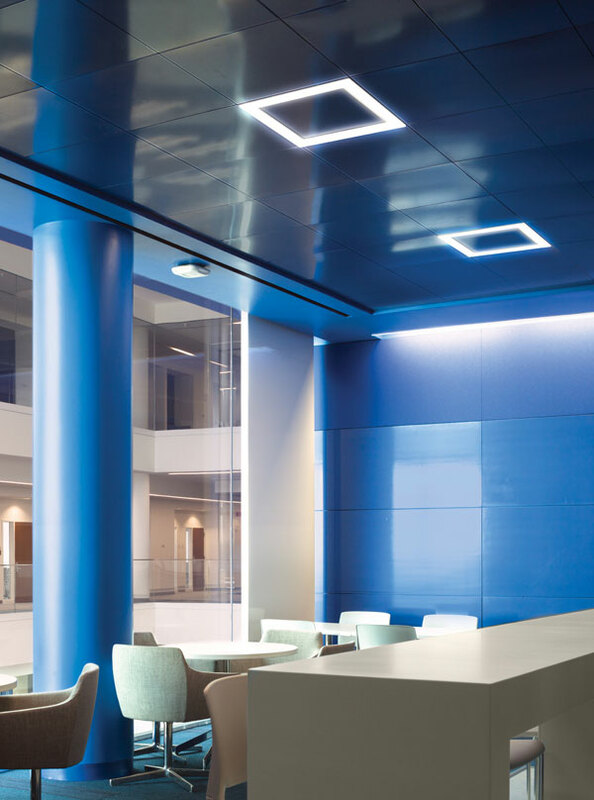 An ideal replacement for troffers, the Microquad Recessed features easy installation and a paintable center panel to complement or contrast your color scheme.